Listen to an excerpt from Louise Penny's How the Light Gets In audiobook, read by Ralph Cosham. 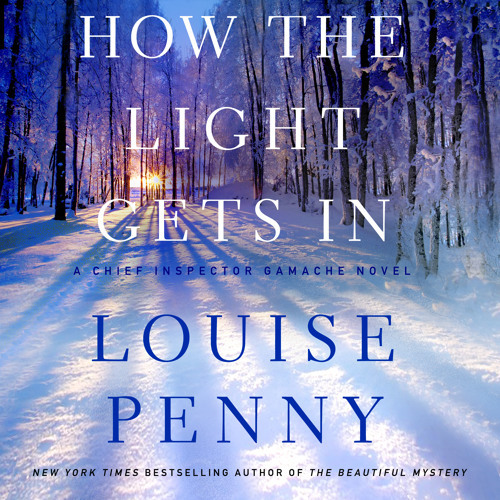 The ninth book in Louise Penny's New York Times bestselling, critically acclaimed series featuring Chief Inspector Armand Gamache. “There is a crack in everything. That’s how the light gets in.” —Leonard Cohen Christmas is approaching, and in Québec it’s a time of dazzling snowfalls, bright lights, and gatherings with friends in front of blazing hearths. But shadows are falling on the usually festive season for Chief Inspector Armand Gamache. Most of his best agents have left the Homicide Department, his old friend and lieutenant Jean-Guy Beauvoir hasn’t spoken to him in months, and hostile forces are lining up against him. When Gamache receives a message from Myrna Landers that a longtime friend has failed to arrive for Christmas in the village of Three Pines, he welcomes the chance to get away from the city. Mystified by Myrna's reluctance to reveal her friend's name, Gamache soon discovers the missing woman was once one of the most famous people not just in North America, but in the world, and now goes unrecognized by virtually everyone except the mad, brilliant poet Ruth Zardo. As events come to a head, Gamache is drawn ever deeper into the world of Three Pines. Increasingly, he is not only investigating the disappearance of Myrna’s friend but also seeking a safe place for himself and his still-loyal colleagues. Is there peace to be found even in Three Pines, and at what cost to Gamache and the people he holds dear? Ahh, if only I could live in Three Pines.